Talking to J. Bennett, guitarist of the L.A.-based Ides of Gemini, was a real pleasure. We did the interview shortly after the band had returned from their first European tour. Read what he had to say about the band’s history and their extraordinary music which – like a ghostly apparition from a far distant time – keeps escaping all attempts to define it. Empress: J., what are the Ides of Gemini? The first thing that came to my mind were the Ides of March, when Julius Cesar was murdered. 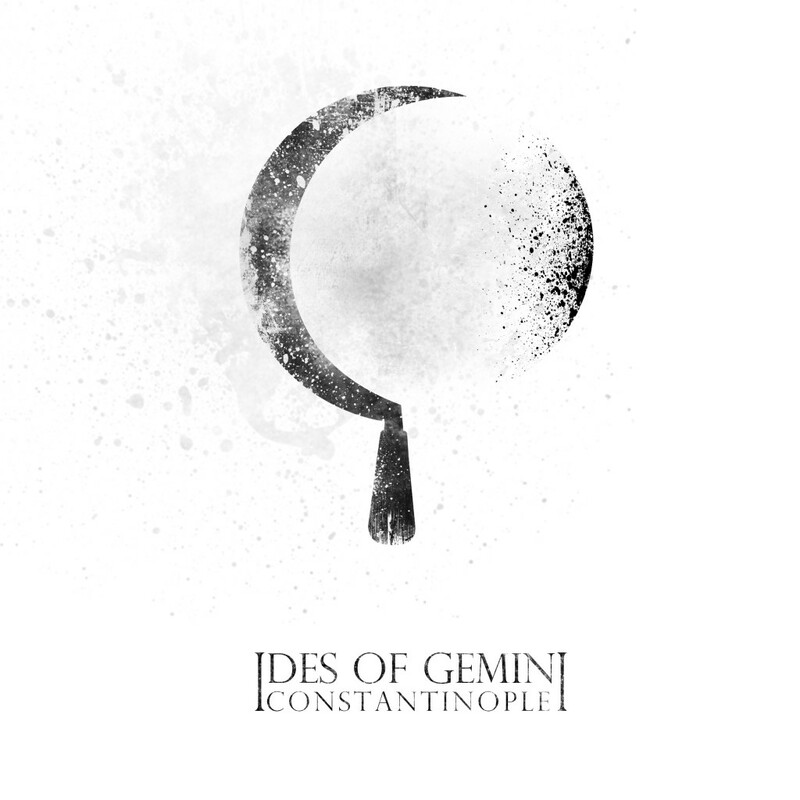 Is the name Ides of Gemini an allusion to that? J. Bennett: That is a good connection – there obviously is an element of ancient history, betrayal and murder, and Sera’s lyrics kind of touch on all those topics. But the reason why I like this term is because there is no such thing as an „Ide“ – „Ides“ is only plural. There is no singular, meaning that „Ides“ is all of us, and when we started, it was just me and Sera. And then Sera is a Gemini and also a twin, and the only reason I wanted to start a band was because of her, so in a lot of ways this is my tribute to her. I probably won’t be playing music if it was not for her. I wrote the guitar parts of all these songs especially for her to sing over. Empress: So the basic idea was not to be a proper band but to keep Ides of Gemini as a project between two people? J. Bennett: No, although it started out that way. We just wanted to record something, first, and get it down. We did our first EP, The Disruption Writ, and we hadn’t really thought about doing anything beyond that. But as time went on, we ended up with more material, and we thought that it would be great to play live sometime, but we would need a drummer to do that, and then we met Kelly, who at one point had wanted to start an all-female doom band. So I guess she got two thirds of her wish. 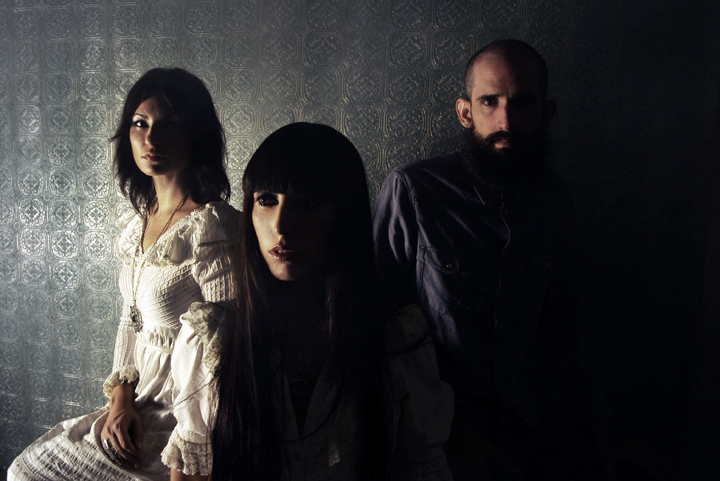 Empress: Ides of Gemini sound very special, and your music is often labelled as “dream doom“ – do you like that? Do you think it fits? J. Bennett: Someone used that term to describe our music when the EP came out, and I thought it really worked for the material then. It perfectly fits the songs on the EP, but some songs on the full-length maybe don’t necessarily fit into that, and for the new stuff we are working, on I’m not sure if it fits that at all. But for what exists now, I think it’s great. Empress: And doom is a very multifarious thing, isn’t it? J. Bennett: I don’t think anyone would listen to our band and say “that’s a doom band”. We certainly have elements of that. I like the dreamy aspect, this makes more sense to me, and if you put dream and doom together, then it still doesn’t give you a complete picture of what we are, but it gives you a sense of what we might sound like. Empress: Do you think you could be defining a whole new genre? J. Bennett: Well, we didn’t come up with the term, but I do like to think that we don’t sound like anyone else. Empress: Did you actively work for sounding like no one else, blending doom, black metal, Dead can Dance and other unusual indefinable thing together, or did it somehow just happen? J. Bennett: I think it’s just what came out of it. I wanted to capture a certain feeling and a certain mood. Rather than trying to fit into a certain genre, Ides of Gemini are first and foremost trying to relay and create a certain atmosphere for the listener. To create that atmosphere, I took elements of black metal and elements of doom. What you’re hearing musically is kind of the stuff that Sera and I both agree on. Empress: How is working process – what comes first, the lyrics or the music? You write the music and Sera writes the lyrics? J.Bennett: Yes. The guitars come first every time. I usually record a demo at home, then I string all the riffs together, do a basic arrangement, then I’ll give it to Sera, and she’ll start working on the vocal melody, and then we’ll get together to finish the whole thing. The drums are usually last, actually. Empress: You’re a music journalist yourself – do you think that is an advantage, and how much of the attention Ides of Gemini get do you accredit to that fact? J. Bennett: It’s funny you bring that up. I’m kind of questioning that decision to tell people, but at the same time it could have worked both ways. There are plenty of people who, when they hear that there is a journalist in a band, immediately want to dislike it, because they think this is some kind of feeble attempt to do something, or maybe because it’s just someone I gave a bad review in the past. But I give you an example of something that was an advantage. Terrorizer, the British magazine, did a feature on us, and it was a full-page feature. Any other band on our level probably would have gotten half a page. So the article was a little longer because they are my friends. But other than that, we didn’t get any advantages. And we don’t regard the band only as a side project. It’s still a hobby in that we don’t make any money, but we do as much for it was we can. Empress: When I saw you playing in Cologne I had the impression that you felt rather uncomfortable, maybe because of the not very fitting venue (Ides of Gemini played at the Sonic Ballroom, which is more a venue for punk shows)? J. Bennett: Yeah, that was part of it, especially because at that particular show, until ten minutes before we started there was almost no one there, and I thought, o God, this is gonna be terrible. So it was a little bit of that. And when you’re on tour – and this was our first tour – every night you’re in a different place, and the stage set-up is different, and we don’t have a lot of experience touring with that band, so in Cologne we were still in that mode of getting used to the changes every night. But I remember that show, it was the same as at every show; it always takes the first couple of songs to get into it. Empress: Is there a special kind of people you expect at your shows? J. Bennett: No, I guess we’re still finding our audience. There were certainly a lot of people coming out to the shows in Europe who didn’t know much about us. One of the first people who actually showed up at that Cologne show had a Neurot tattoo on his forearm, and I guess we have a lot of people like that at our shows, who are interested and just like what Neurot Recordings does. And that guy had that tattoo way before we ever were on Neurot, and now we’re a part of that, so it’s kind of a strange thing. Empress: I’m just asking because the audience in Cologne was very divers, yet everyone I talked to after the show was like “Wow, this is something special, and I can’t really place it.”, so I’m looking forward to see how your audience will be taking shape. But to move onward to the next question: You once mentioned that Lita Ford gets little respect for what she does because she’s female – are you ever confronted with that, too? Is it a big issue that Ides of Gemini consist of women to the greater part? J. Bennett: It certainly seems to me that women playing heavy music are becoming more and more, it’s not a rare thing anymore, and it’s becoming more and more accepted. I’m sure there are still people who, when they see that we have two women and even a female drummer have some old prejudices in mind, like „Women can’t play heavy music, so I’m not interested in that“. Empress: But you’re not personally confronted with such attitudes? J. Bennett: No. If anything else it’s the opposite thing, for example if people see a picture of the girls and are interested because they find them attractive without having heard the music, which I guess is also the wrong reason (laughs). But that’s okay – if they come to the show and like it even if they showed up just because of the good-looking girls, that’s fine, too. Empress: Yeah, but that’s perfect, isn’t it? If people don’t even talk about it, it’s just normality. That’s what we’re working for. I also tend to think that it is even less of an issue in California and on the whole West Coast, maybe this is more an issue which is discussed in Europe? J. Bennett: Yes, maybe, it’s tough for me to know what’s discussed in Europe, but L.A. is a very liberal and open minded place. And the other thing is: Sera’s other band, Black Math Horseman, has a very good reputation both in Europe and in L.A., so people are simply interested in what she’s doing now, and they got over that whole female thing a long time ago, if it was even an issue to begin with. Empress: So it’s also not much of an issue for you as a band? In the lyrics on Constantinople I came across this mythical woman called Calafia, so it appeared to me as if you were somehow focussing on mythical powerful female figures – was that something you did on purpose? J. Bennett: Yeah. Sera wrote all the lyrics. It was absolutely on purpose, she didn’t pick Calafia by mistake, there is a specific story that goes along with that song. Sera reads a lot of very exotic mythology, not just the conventional Greek or Norse or Celtic or any of that stuff, but really obscure mythologies, the ones you don’t hear about that much. The songs end up becoming not just about the actual story in the myth, but they become metaphors for something that’s true to Sera’s own experiences as a human being now. It’s absolutely on purpose and there is more than one song that has that powerful woman aspect to it. I’m sure she’ll be very happy that you picked up on that. Empress: Constantinople is a name that evokes visions of past greatness and decay – is your music the soundtrack of decay? J. Bennett: Yeah, absolutely. At most of the shows on the European tour we had background visuals, taken from an old obscure film called “Decasia”. The title is a reference not only to the images in the film but to the fact that the film itself was damaged, and the filmmaker kept that as an aesthetic choice in the film. That definitely fits in with our vibe. But the Constantinople aspect came from a dream that I had, and after thinking about this dream, it occurred to me that Constantinople is the modern day Istanbul. It’s been occupied and controlled by so many different cultures, from the Byzantines, the Ottomans, modern-day Turks and so on, it seems like a place that at various times in its history melt different things to the cultures that lived there, and it occurred to me that Constantinople seems like a place that could mean almost anything to anyone. So for us it’s about or own environment. That ties in talking about the atmosphere. We are trying to create an atmosphere. I mean you can call that „Constantinople“ but it doesn’t really need a name, but that’s how it all fits. Empress: Let’s get back to the music: The drumming on Constantinople is very reduced and ritualistic –perhaps this is due to the fact that the drums had been written last, but still: Is there a ritualistic or in some ways spiritual or religious message behind Ides of Gemini? J. Bennett: I’m not sure if we have a spiritual or religious message. Yet I wanted it to sound very ritualistic, like a military waltz. I think the mood we’re looking for is like an oncoming army, an unstoppable force. We started our set every night with that song and wanted to create this atmosphere of impending doom. Empress: I think the feeling you create is not really one of impending doom, but more everything that could come „after“ doom? J. Bennett: Yeah, like the aftermath of doom. I love that, yeah that’s great, I think that fits totally. But as far as our religious or spiritual message is concerned – I’m not sure that we have any messages for anybody. The songs mean something to Sera, something very specific, but the reason that I do the interviews is that she is not particularly interested in explaining the lyrics because sort of what the lyrics mean is private. “Slain in Spirit” e.g. is about a berserk, sort of working himself into a trance state for battle, and a song like “Resurrectionist” discusses English grave robbers who would exhume bodies and bring them to doctors to learn anatomy. People don’t want to talk about this, but modern medicine is what it is today because doctors learned how to cut people open on bodies that were illegally exhumed. But we don’t want to tell people “this song is about this” or “this song should make you feel this way”. Whatever kind of feeling someone gets from listening to our music is fine, as long as they get something out of it. The worst reaction we could get would be no reaction. I’d rather have people love it or hate it. Empress: Music like doom is mostly connected to black, but instead of that you use a lot of white in your artwork and in the way the girls dress. I’m sure this is a choice you made on purpose, so what is the meaning behind this? J.Bennett: So much of metal music and dark music tends to associate with black, whether it’s black t-shirts or black album covers. 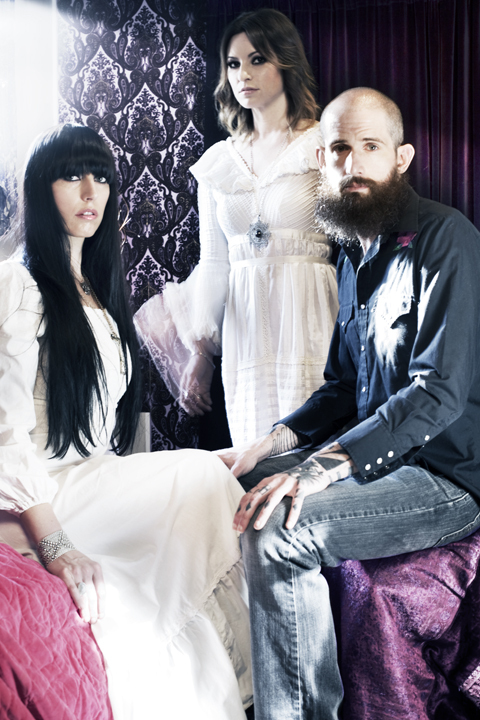 We just wanted to go into a different aesthetic direction, and as far as the girls wearing the dresses, there is an aspect of the ghostly, the spectral, and I think our music has that kind of feeling, too. Heavy music is so saturated with black. We’re not like an over the top metal band, I’m not even sure if we are a metal band at all. We don’t fit in with so much of that music, so we don’t want to fit it visually either. Empress: Is there a book or a piece of art that breathes the same spirit as your music does? J. Bennett: Oh, that’s a good questions. I think there are books and pieces of art that have elements of that atmosphere, but not to sound egotistical, but I think we are the only ones who are conveying that atmosphere in full. I don’t know if that makes sense. Empress: To some, to some maybe not? J. Bennett: (laughs) What about to you? Empress: I think there are some pieces of art that come very close. Especially the European Symbolism (late 19th to early 20th century). To me, this is also very much like “the aftermath of doom”, with a lot of ghostly things and a feeling of decay and things you can’t really explain – things that are somehow but not entirely appalling but also very attractive. I see a strong connection there. There is a great art exhibition in Frankfurt running right now, about “Dark Romanticism”, and I was constantly thinking about your music when I saw the exhibition. J. Bennett: On the topic of art – there is a song on the album that is named after a painting. The song “Martyrium” – we shortened the title for the Constantinople album, but on the EP it’s called “Martyrium of the Hyppolite” which is a flemish painting by Bouts Dieric from the 14th century, and it depicts Saint Hyppolitus being drawn and quartered. I’m not familiar with the art of Symbolism, but I feel honoured that we are connected to this kind art, and I also liked what you said earlier about the people at the Cologne show, feeling like they had seen something that was special, and that they didn’t know how to describe it – that’s what we are going for.